Hi! 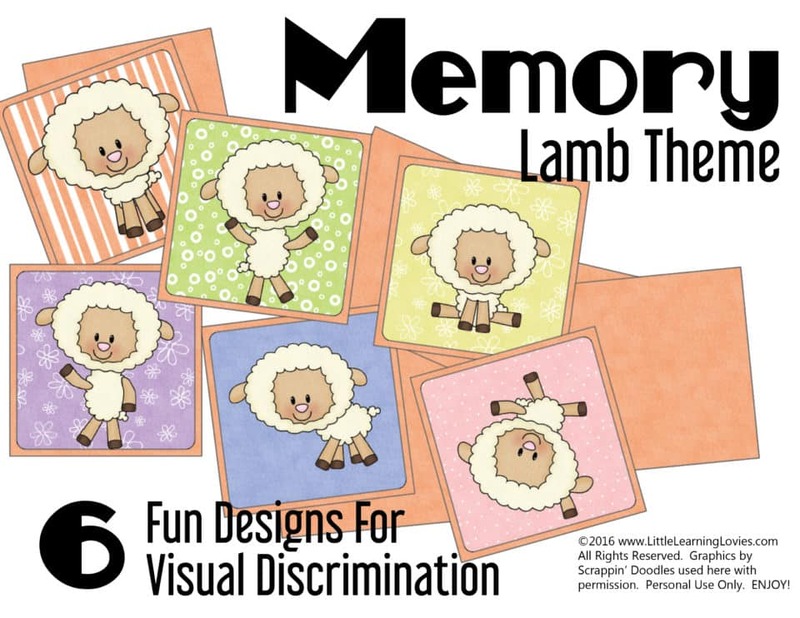 You know, it’s been far too long since I’ve been able to put a preschool printable pack together for you folks. Life gets crazy, doesn’t it? Other obligations have taken my time lately but I’m super excited to let you know that I HAVE FIXED all those Subscriber Freebies that weren’t working! ♥ And while I was at it, I made a few new games to share with you. I hope you enjoy them! There are a TON of amazing benefits to playing this simple game. Just like the name says, playing “Memory” actually does exercise your brain and increase your short-term memory! It also helps with visual discrimination and identifying patterns. Both of those are vital mathematical skills! 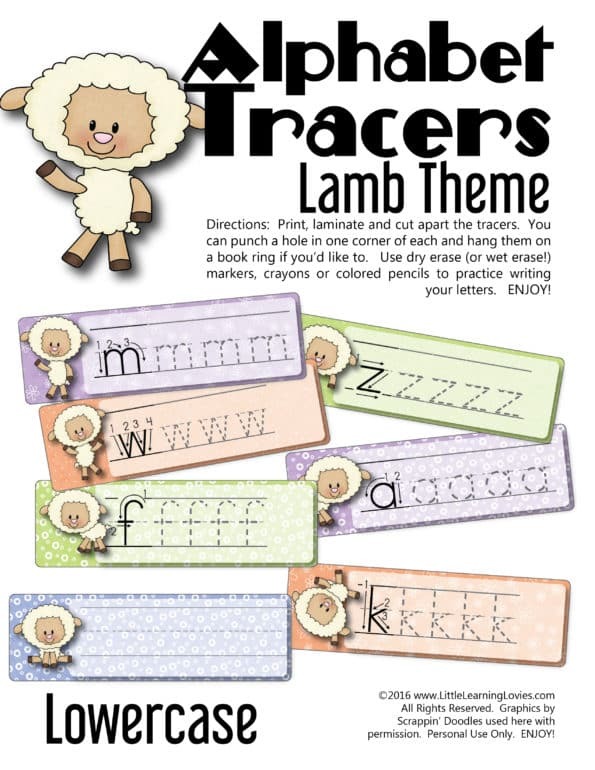 Download yours for free in the preschool printable pack at the end of this post! First, kids LOVE these. As in they beg to do them. Over and over! These are certainly worth the ink you’re using! They are very fast to put together, too. 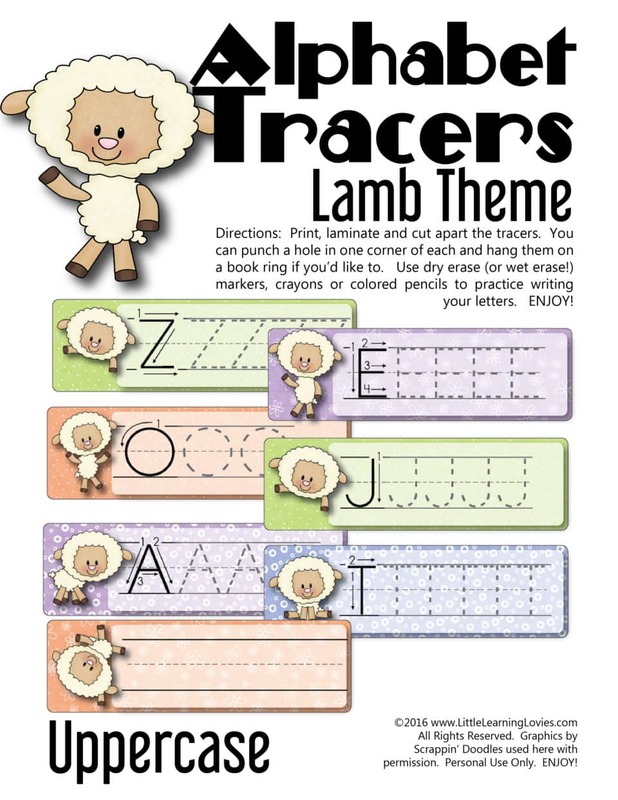 Just print, laminate, cut (just 2 slices per page) and provide some clothes pins or paper clips to your eager child! They simple ‘clip’ the little lamb that matches the big lamb. These are a fun shape. Being so long is a novelty! But it’s also perfect for practicing just one letter at a time. Each one gets it’s own card. If you laminate these, kids can use dry erase crayons, markers, pencils or (our favorite) wet erase Vis-A-Vis markers! We love those the best because they don’t smear as you’re working and they wash off incredibly well with a damp paper towel with very little ghosting. 🙂 You can get them on Amazon using this link, which supports this website without costing you an extra penny! 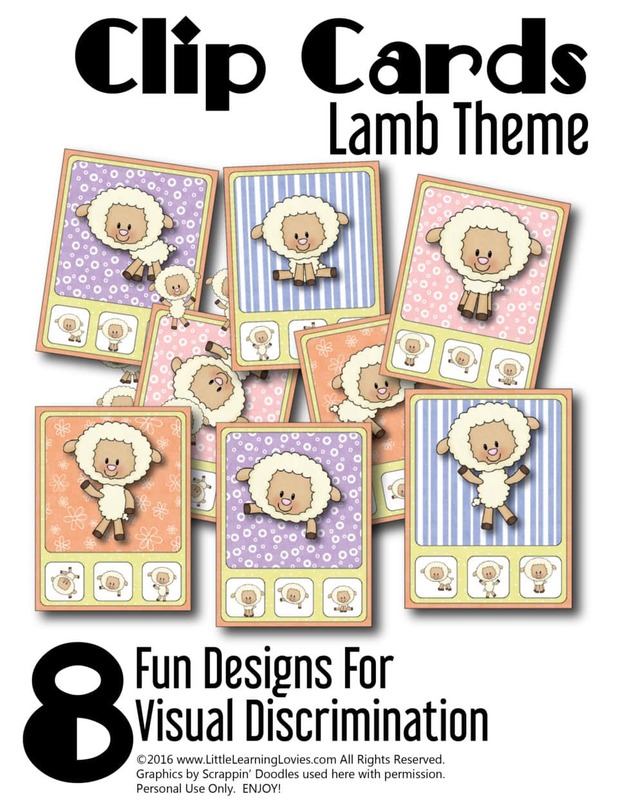 Ready to download your free lamb themed preschool printable mini pack? You get four different files in a .ZIP folder. They are all PDF files for easy printing. Just enter your email address below to get this subscriber exclusive freebie! Your download with start immediately. Previous Post 3 Tips To Successfully Homeschool Multiple Ages Next Post 90% Off The Alphabet Boxable Set!